How hard could it possibly be to run an e-commerce site? It’s not like you have a physical premises to look after, after all. You just need to set up a website and put your products on it. Right? Nope. It’s not that easy, as anyone who’s set up an e-commerce website will attest. Not only do you need to combine strong copy and inspiring imagery, but SEO and user experience (UX) need to be taken into consideration too, so visitors spend their hard-earned with you – not your competitors. To help you make the most of your e-commerce site, we’ve come up with a comprehensive guide to the anatomy of the perfect product page. Make sure that the copy is snappy and interesting, so people want to buy your product. Dry, jargon-filled product descriptions are off-putting and dull. Yes, we know that it’ll probably take you ages but it’ll be worth it. Just make sure that what you write fits in with the overall tone of your website. Keep it short, sweet and easy to digest, with bullet points and subheaders to break the text up. Be sure to keep the descriptions benefits focused too. Rather than listing the features, explain how these features will improve customers’ lives, so they can’t resist buying it. Although you should be sure to include dimensions and composition information too. Without making it too obtrusive, find a way to work delivery information and returns policy into the pages. Even if you’re providing a link to another page, it’s good to be transparent. 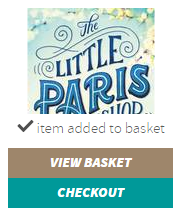 You don’t want customers getting all the way to the checkout before bailing because they didn’t realise how much shipping’d cost. A huge 47% said they would abandon their purchase at checkout if they were hit with an unexpected shipping bill, according to comScore, but it can be easily avoided by giving this information up front. Make sure the page is as clear and easy to read as possible, with few distractions from the task at hand (ie buying whatever you’re selling). If you’re selling an item rather than a service, be sure to have high quality images, so visitors really know what they’re buying. In fact, the more images you can include the better, because it illustrates the product clearly. 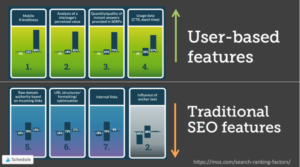 A study by VWO actually found that larger image sizes can increase conversion rates by as much as nine percent. 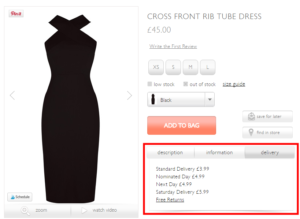 If you can, allow visitors to zoom in on the images too, so they can see what they’re buying in more detail. Just be careful that adding pictures doesn’t slow the site down. While it’s great to have high quality images, if they’re too large they can slow the page load down, which can cause people to bounce. Make sure you know what your publishing platform can handle, use a tool like GTmetrix or WebPageTest to test site speed and wherever possible use a free tool like TinyPNG to resize images without losing quality. You might not think customer service is an important issue when shopping online – your customers are sat behind a computer after all. But questions or queries can put people off a sale, opting to hit the high street for a similar product, where they can talk the product through with a sales advisor. 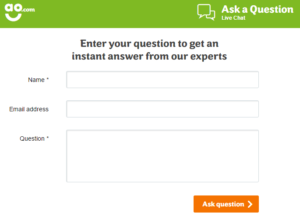 A Forrester Research study found that a huge 44% of online shoppers think that the ability to ask a question in the middle of a sale is vital. To accommodate for this, give customers a way to quickly get in touch. 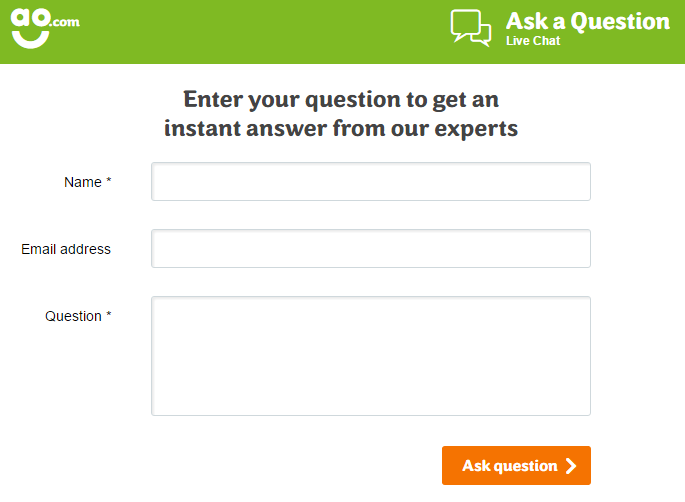 For instance, installing live chat apps such as Intercom will make it simple to ask questions there and then – without disrupting the sale. Be sure that your call to action is straightforward and easy to complete. For instance, if you want people to request more information, pop the call to action on a clear, coloured button that stands out from the rest of the page. If you want people to add a product to their basket, or buy it now, you should be explicit in saying that too. If necessary, add more than one button to the page, especially if you have lots of content – you could choose to have one at the top and one at the bottom. If your product goes well with others on your website, tell people about it. Just make sure it doesn’t interfere with the main body of the page. What do we mean? 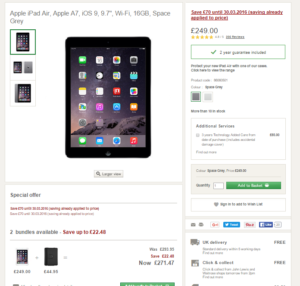 Don’t add a related products box before the call to action, or before your customer has found out more about the product, like this page on the John Lewis site. You’re distracting the visitor from what they initially came to the site to do, so could end up leaving the page without making the sale at all. While we’re sure that your site is safe and any bank details entered will be cared for as if they’re your own, you should make this clear to your visitors. Be sure to add security certificates to your page, so they know the measures you’ve taken to keep their vital info private. Most tools will supply an appropriate badge, like Norton Secured, McAfee Secure and Truste Certified Privacy, which can be added to your site. Also, obtain HTTPS status too, so that users know they’re on a secure server. 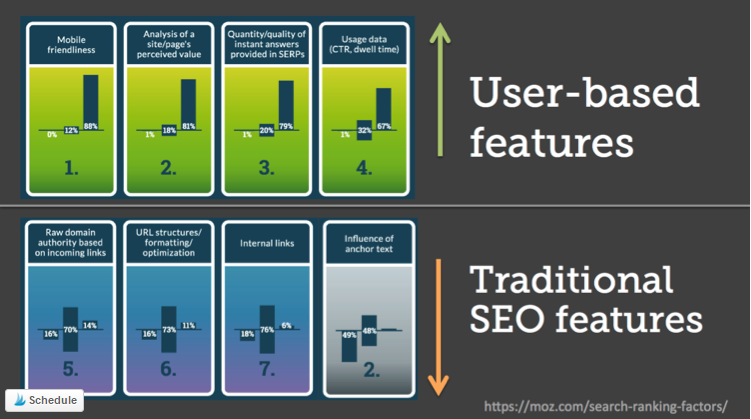 It will also give your site a bit of an SEO boost, because Google will view the site as being more trustworthy. To further reassure visitors that they are safe using your site, harness the power of social proof. Add reviews from satisfied customers to prove that you’re a reputable firm with a great service. Amazon does this particularly well, with a star rating at the top of each and every product page and reviews at the bottom. This allows potential customers to get an honest feel for how real people found the product, plus any unexpected bonuses and faults that might occur. We’re all aware that mobile commerce is becoming increasingly common as smartphone adoption increases. 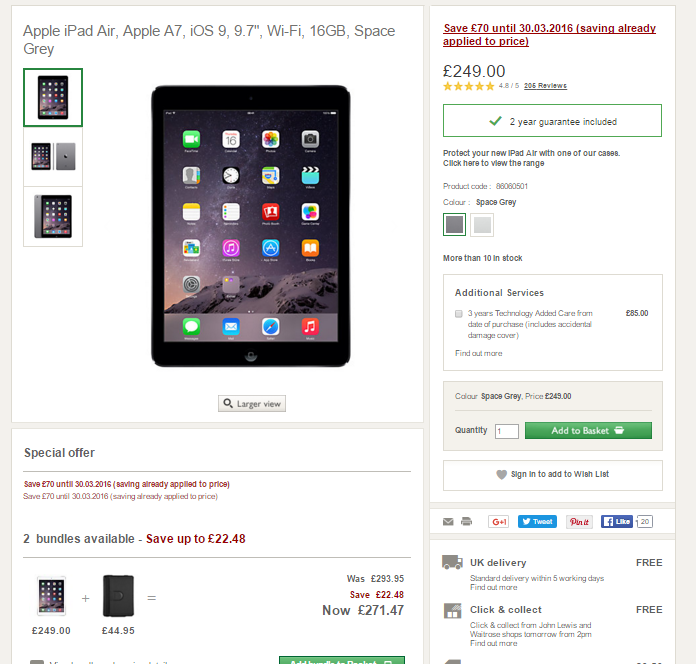 Test your e-commerce product pages to make sure they’re mobile optimised. Be mindful that your buttons aren’t too close together, that the calls to action are clear and the content fits neatly onto the screen. 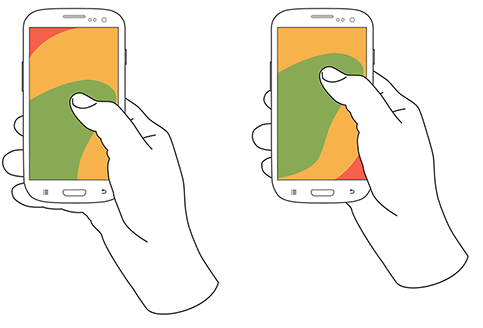 Wherever possible, make sure important buttons are within the ‘Thumb Zone‘ ie that they are easy to reach with your thumb when using the site – which is the digit most people use on mobile web. It’ll make that click to buy even easier. Of course, no two e-commerce sites are ever the same, so it pays to test your product pages to see what works for your customers. Instapage and VWO are great, inexpensive tools that allow you to create variations of your product pages, so you can hone in on what works. For instance, you may choose to vary the colour and position of the call to action button, or the messaging on that button. Or try different image styles – for instance lifestyle shots rather than product cut outs. Or you could change the style of the copy to have more details, or inspirational info instead of bullets. If you want help optimising your e-commerce site, get in touch. Ad-Rank has years’ of expertise in the field, so we can help you get the sales your business needs.